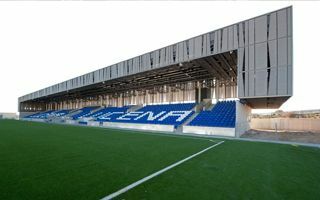 New stadium for the district club UE Cornellá was opened in 2012 in the shade of much larger and more well-known arena, that of Espanyol. 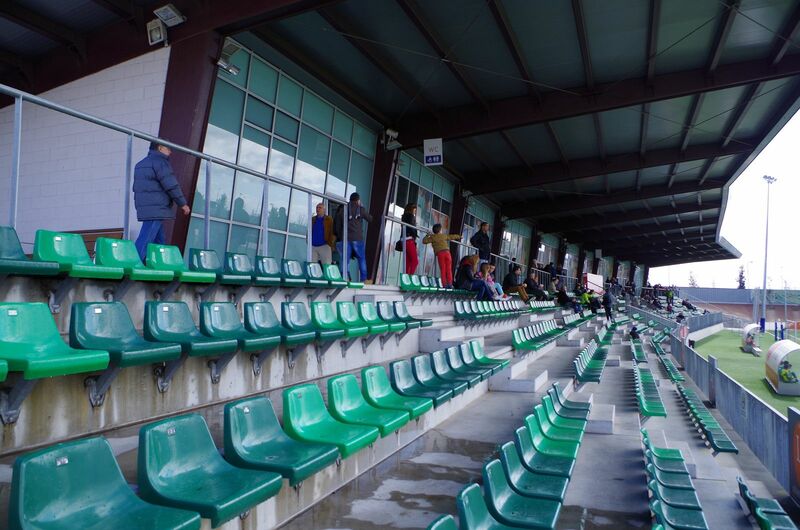 And the “shade” may be understood quite literally as the only grandstand of Nou Camp stands less than 20 meters away from the west façade of its neighbour. 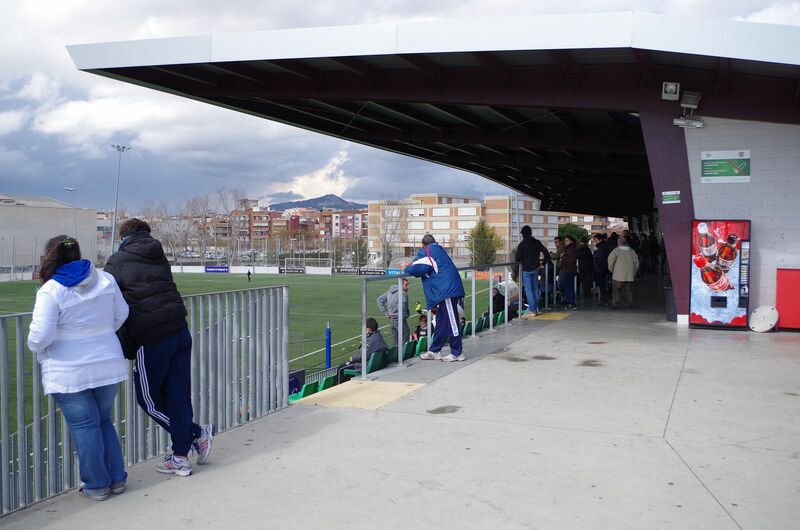 The stand adjoins Espanyol’s promenade, meaning fans of both clubs use the same access routes. 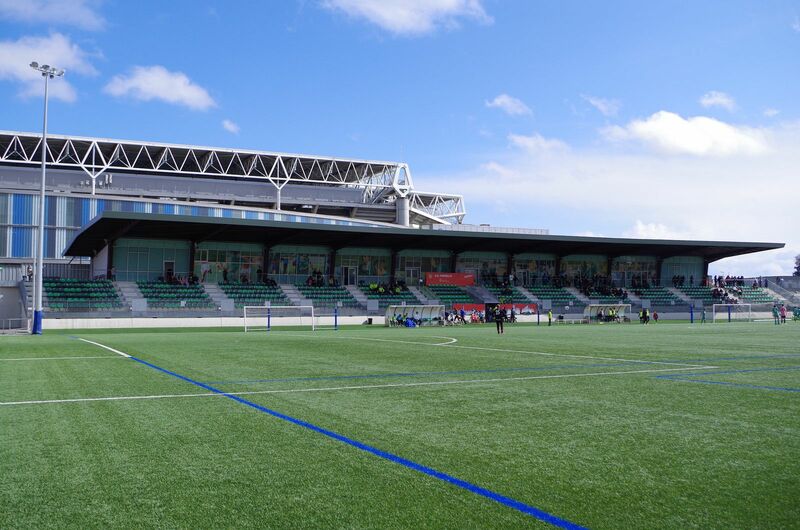 Relocation to the new stadium was expected to catalyse development of UEC in medium term. However, first breakthrough came soon as they won first ever promotion to the third league in 2014. 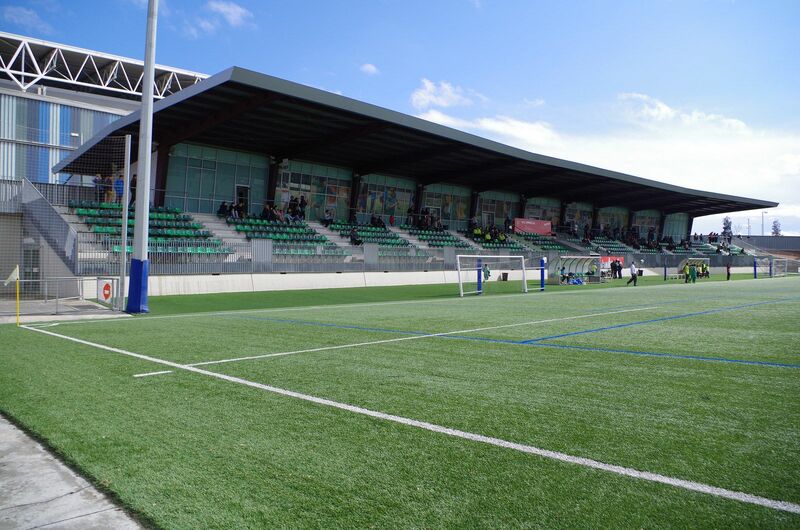 The covered stand offers extensive facilities for both office and commercial use, most overlooking the field. Also, the stadium has some interesting links to its host’s history. 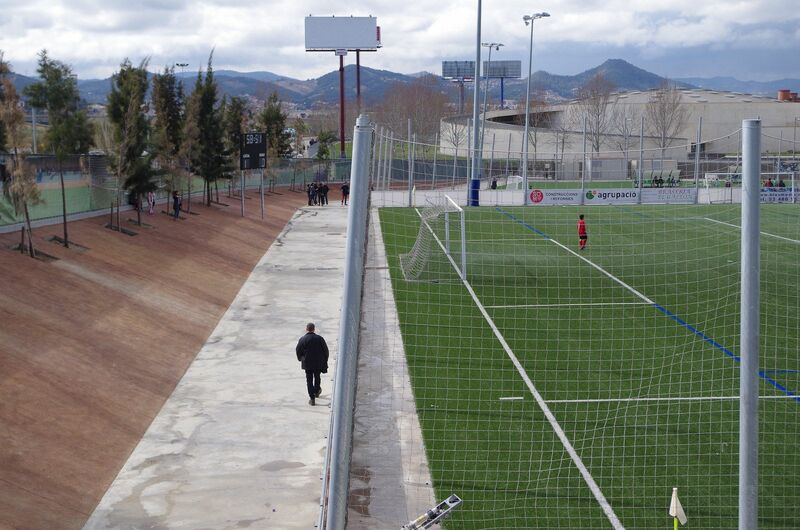 It stands just 800 meters south of the former ground, now used as training centre. 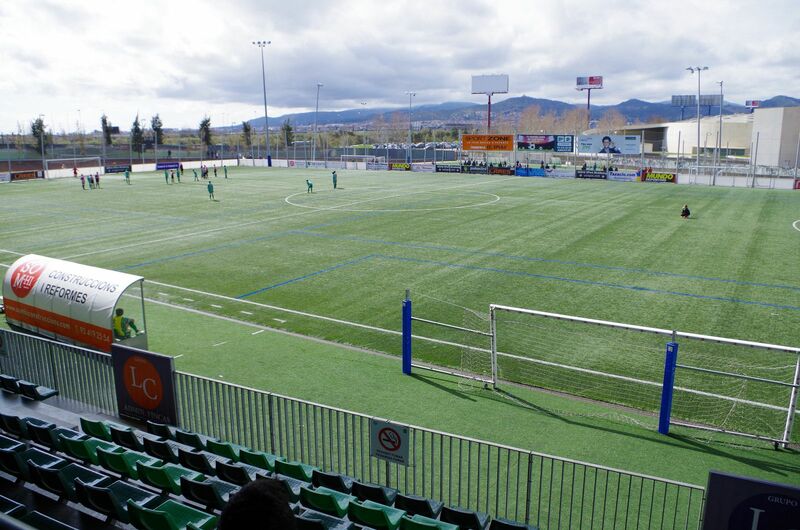 It too has one covered stand (with slightly higher capacity) and also sits nearly where Cornella’s first home ground was.